I recently traveled to the far-flung reaches of Irvine, California to visit Obsidian and talk about their new Kickstarter-funded throwback to '90s CRPGs, Project Eternity. This news post is but the tip of the iceberg of my visit. Want a trailer? Here. And if you want to read the almost 9,000 word transcript of my discussion with Project Director Josh Sawyer on esoteric topics like THAC0, crit-paths, and matchlock firearms, you can find that here. It fleshes out a number of the concepts touched upon in this article. “So there are dragons in this game? How many?” I say, admiring the sky dragon model in front of me, all gossamer wings and feathers. “We’re going to have to keep that a secret. Maybe two. Maybe a thousand,” says Brandon Adler, Lead Producer on Obsidian’s Kickstarter-funded CRPG nostalgia-fest Project Eternity. He grins. 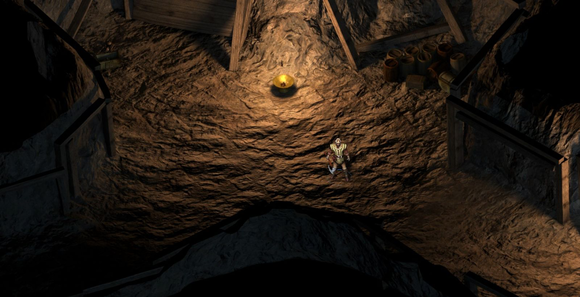 This looks exactly like the Infinity Engine CRPG I’ve wanted for the last decade. This is basically what Obsidian's office looks like. A clerical note, to start: Project Eternity has a new name and a new logo. Gone is the generic “Project” designation. 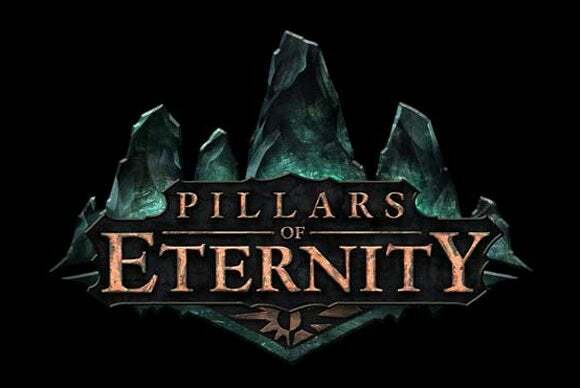 The game is now called Pillars of Eternity. 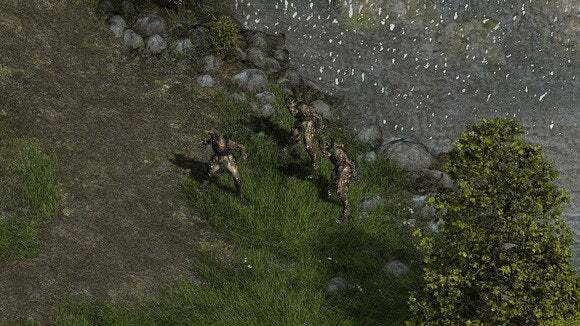 Looking at Pillars of Eternity in action is eery. Adler shows me a brief demo of the game. My party wanders around, talks to some people, and murders some wolves. You could put screenshots of Eternity next to screenshots of Baldur’s Gate and outside of the obvious changes—widescreen instead of 4:3, for instance—I’d be hard pressed to tell the difference. 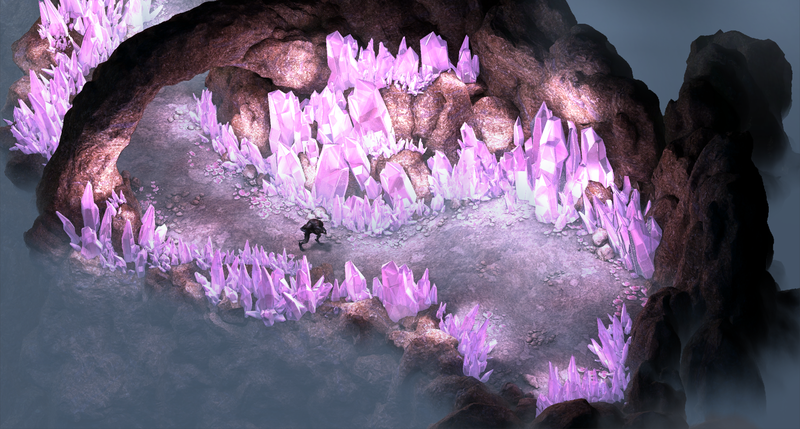 Pillars of Eternity is an Infinity Engine game, at least on the surface. And that’s by design. “I think that when people say, ‘I want to see this type of game again,’ they don't mean, ‘Nothing like that!’ They mean, ‘Actually kind of a lot like that, but just looking nicer,’” says Sawyer. Obsidian’s challenge is to create an Infinity Engine-style game that still looks good on modern computer rigs. With 1920x1080 a fairly standard resolution these days, a town that’s a 5x5 grid of screens is suddenly a whopping 9600x5400 pixels. Adler shows me around the office, detailing how many passes go into each environment. First the levels are laid out in three dimensions—it’s easier to prototype on the fly, and gives a good idea how the space is laid out. Next I’m shown through a procession of two-dimensional art passes. Because everything is rendered in two dimensions, Obsidian can incorporate a lot more unique assets in the world. You might start with two pre-fab, similar houses, but an artist can go in and paint over both until they’re practically unrecognizable—maybe cover one in ivy and break one of the windows, while leaving the other intact and adding an Armorer sign to the front. Zoom in on those details. I dare you. 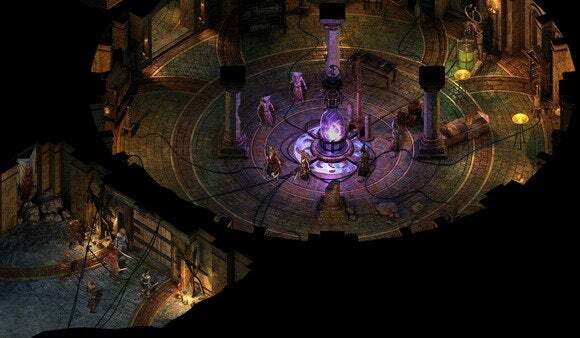 Obsidian’s primary inspirations on the project are first and second edition Dungeons and Dragons, which makes sense—the Baldur’s Gate games were based on second edition D&D. However, don’t expect the standard fantasy setting. “This area is a colonial era, more like a United States/Canada type of environment,” says Sawyer. Along with the change of setting comes a change of period: “It's closer to the early-Renaissance era, so you have things like firearms,” says Sawyer. Matchlock-style guns, but still useful. 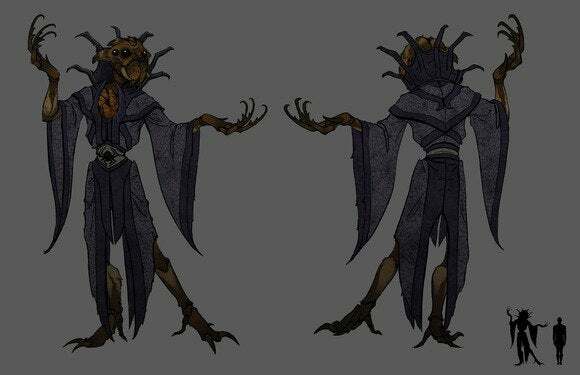 “Wizards—one of their main abilities is Arcane Veil which can dramatically increase their defense very fast,” he continues. “But bullets travel so fast that Arcane Veils can't stop them, so guns are kind of known as wizard-killers.” Get your musketeer outfit ready. No, seriously, I was shown concept art of a musketeer outfit, replete with gigantic plumed hat. Oh yeah, and dragons. Between two and a thousand, I’ve heard. No word whether "dragon skeletons" are counted in the final total. Now, however, the colonies have gained their independence. Despite a not-insignificant contingency of people who think souls are best left alone, Animancers have decided the benefits are too powerful to ignore—fixing insanity, adjusting personality flaws, and even understanding the nature of life, death, and reincarnation. “There are cool things that have happened—people have found out how to adjust and influence a person's soul and personality through this—but there are also catastrophically bad things that have happened—created monsters and horrible creatures from it,” says Sawyer. 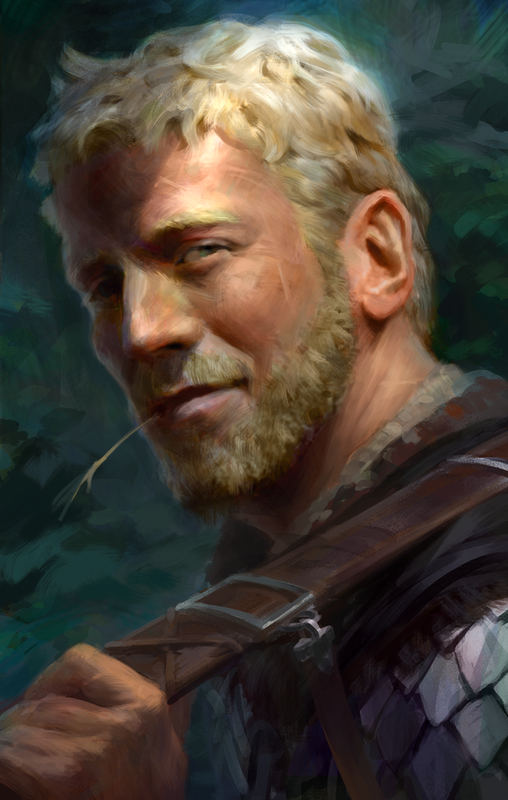 Concept art for Pillars of Eternity. Souls also help Obsidian ground typical fantasy tropes in the world they’ve created. For instance, wizards use shards of shattered souls to cast magic, and paladins are able to draw on their own souls to project auras. But surface similarities hide a game that’s overhauled significantly under the hood. “It's very important that overall the game plays and generally feels like a D&D game of unspecified edition,” says Sawyer. Feeling like D&D is far different than adhering to D&D, however—a distinction that makes a huge difference to anyone who played the original Infinity Engine games and dealt with THAC0 and other cryptic concepts. You can be this guy. So, for instance, say goodbye to rolling characters a dozen times until you get decent stats. 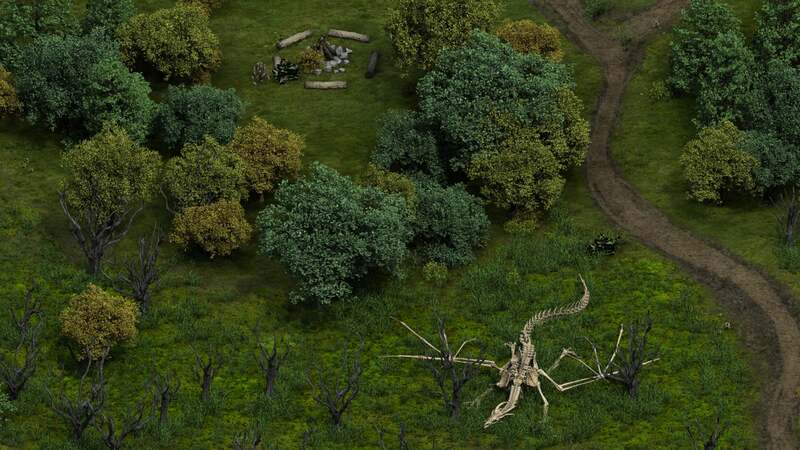 Pillars of Eternity uses a point-buy system. Say goodbye also to class and race restrictions. In the Infinity Engine games, especially the original Baldur’s Gate, it was easy to make a terrible character and not realize it until hours into the game. Pillars of Eternity strives to avoid that. Building a character to type (say, a wizard with high intellect) is great and will serve you well, but playing a wizard with low intellect and high strength is just as viable. “The goal is to say, ‘Don't not consider it,’” he continues. Some more quick stats: eleven classes, no multi-classing, probably no creatures scaling to your level (though perhaps in certain critical encounters), and the game is somewhere between the size of Baldur’s Gate I and II. There are also options to turn off a lot of features and make the game play more like a ‘90s CRPG—for instance, you can make it so the game doesn’t display specific quest objectives, forcing you to suss out details from your journal. Pillars of Eternity should be accessible to new players, but you can also have the Baldur’s Gate experience if you want. "Exploration is one of the things we wanted to reinforce for this game, and part of that means look around. Walk around. Figure it out," says Sawyer. "We don’t want to be vague, but talk to people. Use your eyes and brain." In Obsidian tradition, dialogue is a huge component of Pillars of Eternity. The game uses a reactive dialogue system/disposition system/reputation system that seems like an evolution of what Obsidian’s done in the past with Knights of the Old Republic II, Alpha Protocol, and Fallout: New Vegas. “If you keep choosing benevolent responses where you give things away for free or you're just really nice or whatever, some people will be like, ‘Oh, you're a really cool guy, here's a nice thing.’ Other people will take advantage of you,” says Sawyer. People react to you on an individual basis, rather than as a group, providing for more nuance. Sawyer describes how people might react if you save a town, but in the process you slaughter a ton of bandits. The townspeople might celebrate and call you a hero, but the woman at the Temple of the God of Mercy (he clarifies this is not a real god in the Eternity universe) will react to the way you completed the quest instead of the result. She’ll still think you’re cruel and inhuman, even though you saved her town. Even these trolls think you're a bad dude. “I think it's more interesting when you can mix those things. You can be the cruel savior, the guy who scorched-earths his way across stuff, or you can have the very diplomatic horrible dude. You're doing everything for the worst people, but you're super polite and diplomatic and witty,” says Sawyer. “It's about mixing those things so the player feels like they can define who their character is and have more reactivity to it instead of just trying to imagine it,” he continues. “The most important thing to me is that it feel like you're playing an updated version of those Infinity Engine games, and I think it's going to give people that feeling,” says Sawyer. From what I’ve seen, I agree. Pillars of Eternity doesn’t look revolutionary, by any means, but it does look like a game for people who’ve been itching for something in the ‘90s CRPG vein. And if you really want more information, I sat down with Josh Sawyer, Brandon Adler, and Adam Brennecke for over an hour—you can find a full transcript here.